Antarctica is an enigma. It looms at the bottom of our globes, calling to travelers of intrepid spirit. It lacks a native population—a unique claim not shared by any other continent. The only people to tell its stories are explorers and adventurers. A glance across the terrain might make you believe there is nothing here at all, but as the few who journey here can assure you, Antarctica is so much more than what initially meets the eye. 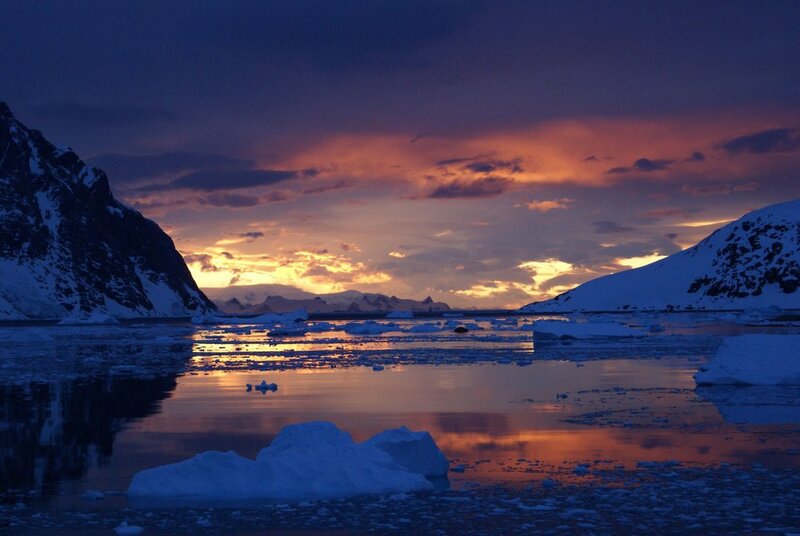 Antarctica boasts a mighty array of colors. The ombre of blues on the ice and the vibrant green and rich navy of the water. The bright gold that adorns the flocks of king penguins and the the stark black eyes that watch curiously from the seal colony. Entering that world promises a depth of natural beauty that’s experienced only by a privileged few. We invite you to join their ranks. 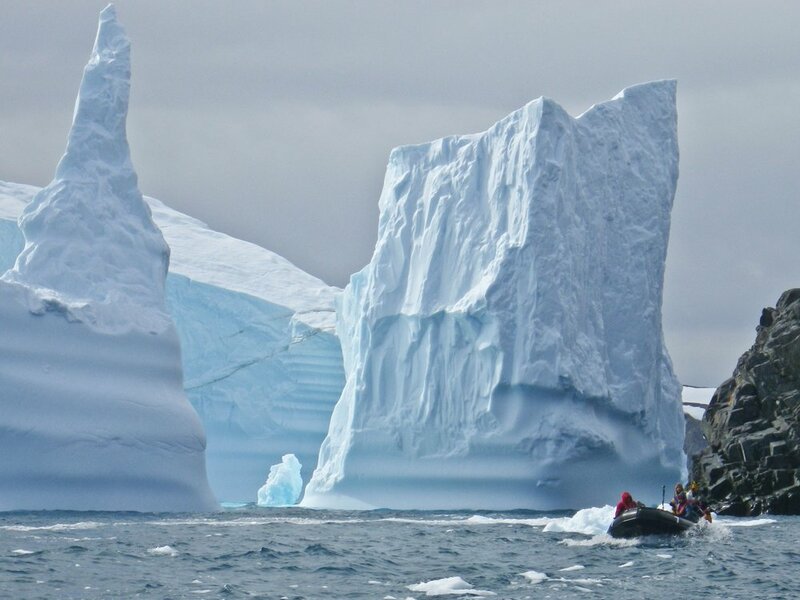 A trip to Antarctica isn't solely about watching the scenery as you sail by. 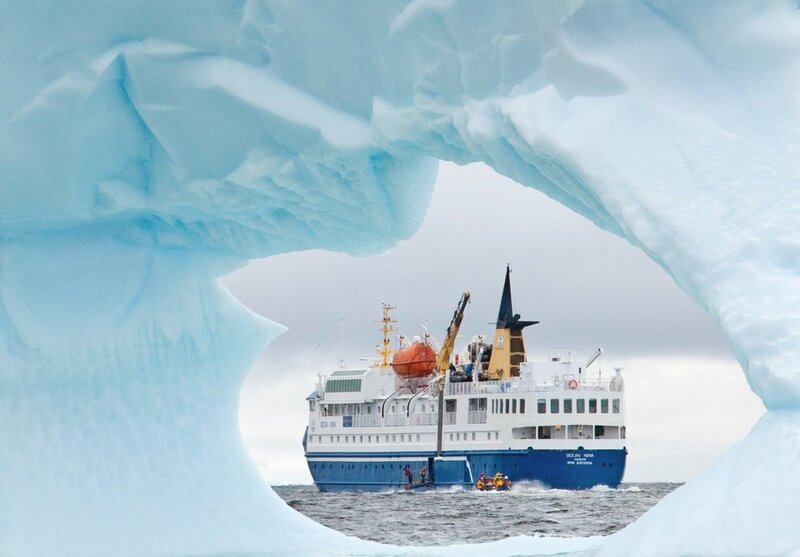 On an Antarctic cruise you have privileged access to the wonders of the 7th continent. 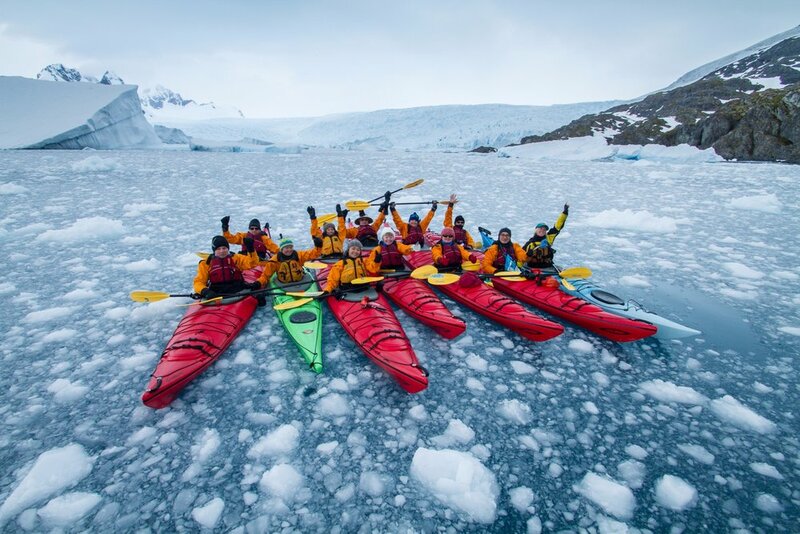 Leave the boat behind for some snowshoeing on the snowy hills, or get even closer to the water on kayaks as you weave between glaciers and under ice formations. 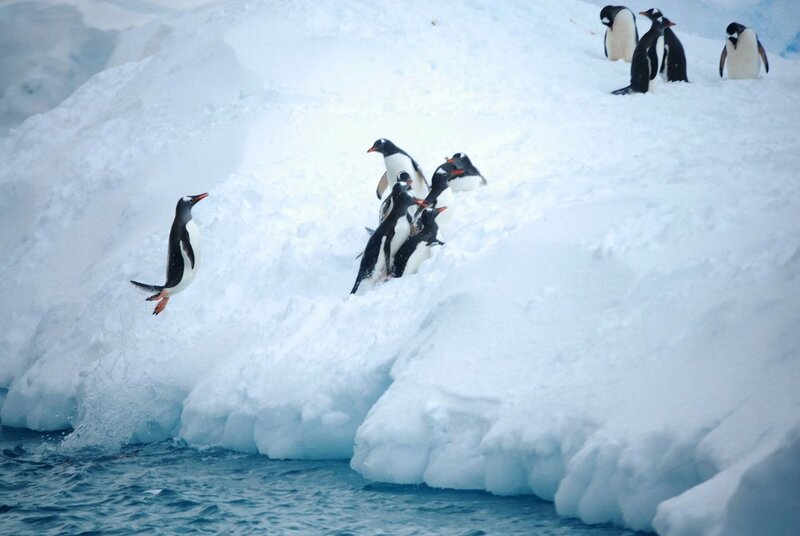 For an even more (literally) breath-taking experience, dive right into the frigid waters of the Antarctic sea! If you're looking for the type of destination that will never be described as touristy, you've found it. Embark on one of three boutique ships that will transport you to another world full of ice and wildlife in hopes of reaching the Polar Circle on this 10-day adventure. If you’ve ever wanted to do it all, this might be the trip for you. This 17-day adventure begins in Chile’s Atacama Desert and ends in Patagonia’s Torres del Paine National Park–bookends to a sensational cruise in Antarctica aboard the newly redesigned Hebridean Sky. A truly epic exploration of Antarctica, plus a journey to the Falkland Islands and South Georgia, the Galapagos of the South. 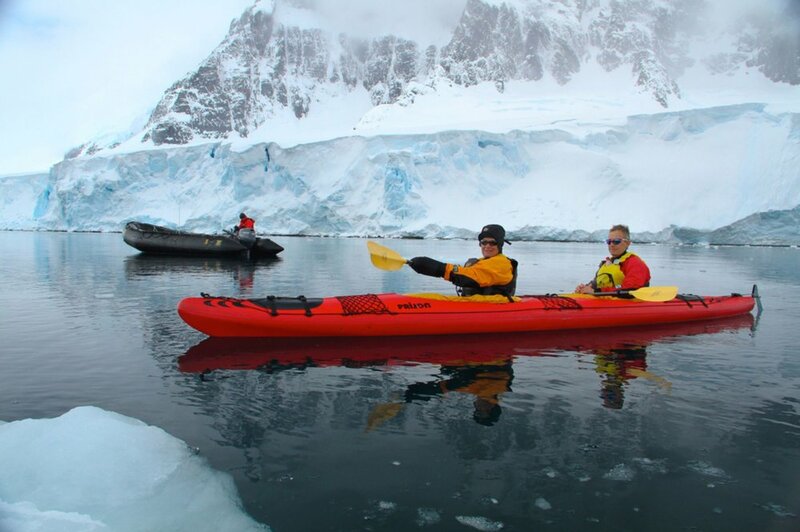 A classic way to see Antarctica, especially great for first-time visitors and travelers on lean budgets. Hebridean Sky is one of the finest small ships in the world, and we consider ourselves lucky to have her as one of our fleet in Antarctica. 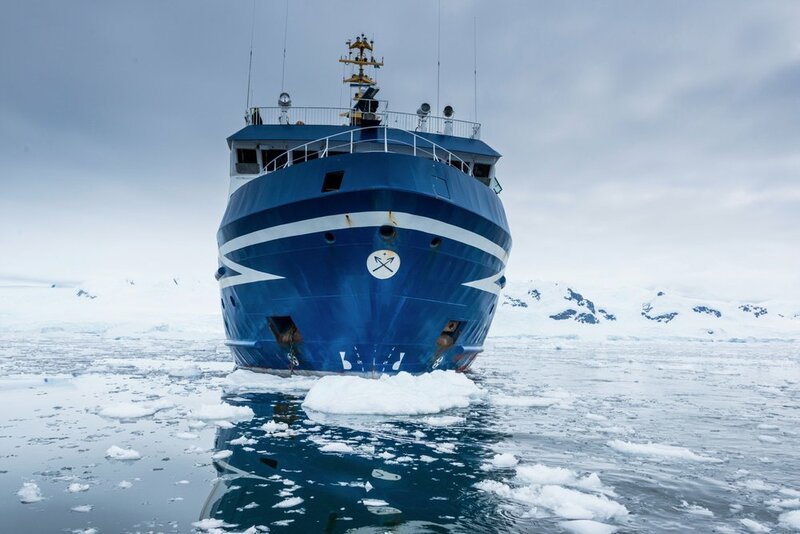 The newest ship in our Antarctic fleet, the MV Magellan Explorer is the perfect way to travel through icy waters in style and warmth. Paired with a flight over the Drake Passage, the Ocean Nova is the best way to cruise upon the ice-haunted waters of the Antarctic. If you are seeking a destination absolutely incomparable to anywhere else on the planet, this is it. We recap a night with these two experts during a recent presentation in Santa Fe at the Outside GO Headquarters. 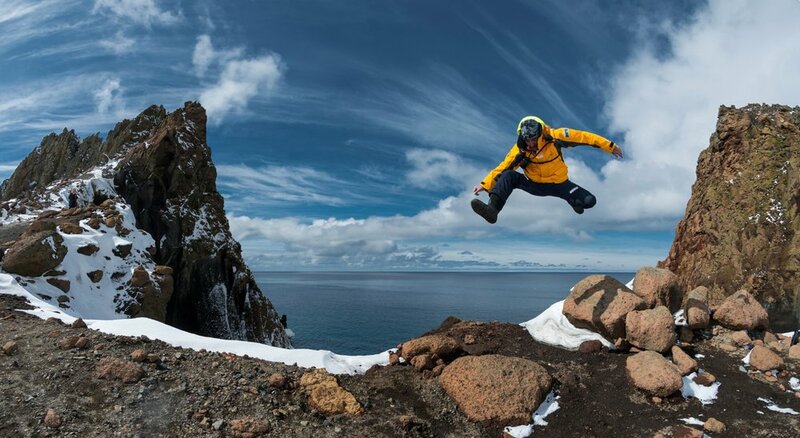 Outside GO’s expert Laura Gerwin explains why your next trip should be to Antarctica. 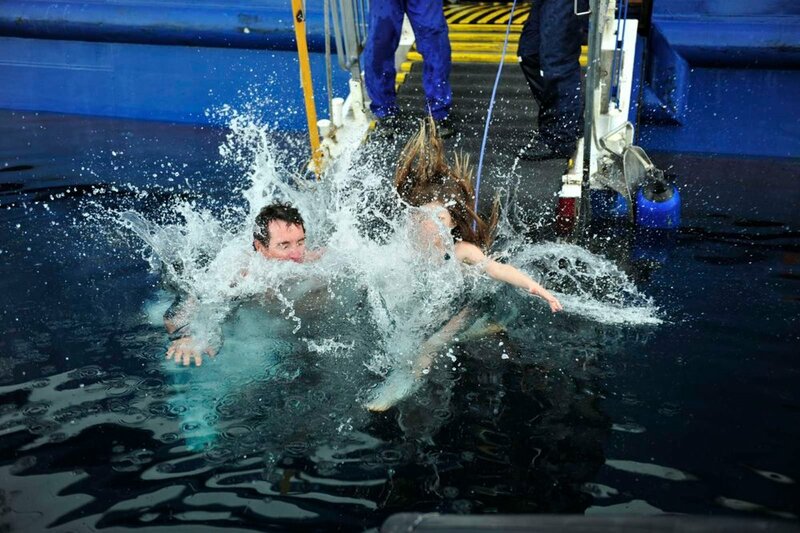 Outside GO's trip designer, Laura, has spent over 700 days in Antarctica. But this was her first time experiencing it with Outside GO. From the star-filled skies of the Atacama Desert to the majestic peaks of Torres del Paine National Park, here are some favorite trips south of the equator.